King Of Agogik Morning Star is inspired by the poetry of Christian Morgenstern. a rock album featuring a cycle of songs expressing a particular theme or idea. Throughout its 45+ years, it seems that progressive rock and metal have given birth to some of if not the absolute best concept albums or conceptual albums. The part of the world you live in bring both of those titles to a ever growing and never-ending sub genre within our class of music. Some believe you have to have a concept album loaded up with all lyrical content as to follow the main story or objective of a concept album. I said this before here at Power of Prog and will say it again. Although I still have a love for concept albums loaded up with lyrical content I also love conceptual albums where the majority of the content is instrumental. 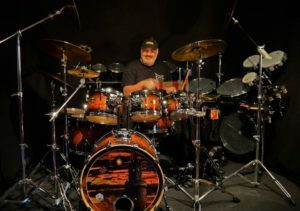 Now in April 2017 I have the honour to review King Of Agogik’s Morning Star by German drum virtuoso Hans Jorg Schmitz. King Of Agogik was a special experimental project that Hans Jorg Schmitz set out to create and develop in 2006. 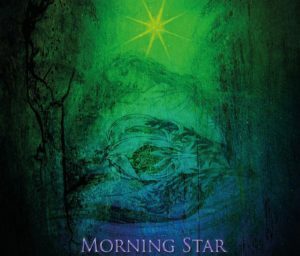 Morning Star is the sixth album in this melodic franchise. Morning Star is inspired by the poetry of Christian Morgenstern. Who is Christian Morgenstern you ask? Christian Otto Josef Wolfgang Morgenstern (6 May 1871 – 31 March 1914) was a German author and poet from Munich. Morgenstern married Margareta Gosebruch von Liechtenstern on 7 March 1910. He worked for a while as a journalist in Berlin, but spent much of his life traveling through Germany, Switzerland, and Italy, primarily in a vain attempt to recover his health. His travels, though they failed to restore him to health, allowed him to meet many of the foremost literary and philosophical figures of his time in central Europe. This may have been created by a drummer but make no mistake this is a very profound melodic artistic expression. The album ranges from classic neo progressive elements, heavily melodic chants, heavy melodic instrumental metal and thought provoking spoken word portions with some social commentary. Therefore there is a wide spectrum of elements within the progressive rock and metal standards. This is also one of those albums that will require both a open mind and a few spins to pick up on the main objective to the concept. I would like to explore and point out some highlights from King Of Agogik’s Morning Star on a track by track analysis. This transitions seamlessly off Veils Open. It opens up with a beautiful atmospheric effect done on keyboards and quickly goes into a beautifully unorthodox Arabic Scale done with well disciplined woodwind instrument that soon explodes into a Neo Progressive harmony between the drums, keyboards and a neo progressive guitar. The heavy new progressive instrumental harmony has a slight progressive metal element to it. The track soon drops where the Arabic Scale starts taking the track in and out of odd time signatures and chord progressive passages. The drums are more in time with the Arabic Scale that seems to be the dominating factor throught the track. It also takes on a heavily Mellotron induced melody that allows the track to maintain its unique quality. Each and every turn and layer upon layer chord progression and time signature is building towards what I believe to be the second part of a multi tracked 24:34 minute track followed by the following track , …To The Place Of Origin. Parts of the next half of this track remind me a lot of 1980’s Neo Progressive elements of a Jan Hammer meets Shamall with a lot of intricate keyboard progressions in harmony with the insane clinic Hans Jorg Schmitz seems to be putting on. The helicopter effects are something very unorthodox where they fit nicely into a surround sound system. This ends with some insane intricate changes between the drums and keyboards. Again in appropriate concept fashion this track bleeds seamlessly off of the previous track The Unavoidable Wayfare …… It transitions so smoothly that it gives the listener the true audio illusion that it is the second part of a multi tracked 20+ minute epic. It begins with a beautifully orchestrated acoustic guitar in harmony with the flute and violin. This sets up for a more folk style atmosphere in the vein of more of Jethro Tull meets Camel meets Big Big Train. The violin eloquently done reminds me a lot of Robby Steinhardt of Kansas, especially dust in the wind. The guitar builds layers upon layers to meet in harmony with the rhythm section. The neo progressive folk progression allows the listener time to breathe and begin to absorb the album more on a soulful level. It is one of the more symphonic and orchestral laden tracks on the album providing depths of even classical music. The middle section is is a real roller coaster of emotion with the various time changes and those Arabic Scale instrumental reprisals to remind you you of the conceptual spine of the album. The drum and rhythm section continues its beautifully intricate exchanges of various chord progressions and time signatures and synth atmospheres. This track finishes with a elegant female spoken word telling a story over the drum beats in harmonic balance. This begins with a gracefully done harmony of various keyboard and Carillon harmonies forming a deep toned atmosphere. The atmosphere created is quite dark in nature however serves as a bridge track Navde. This track keeps on point with the more darker and deeper atmospheres on the album. There is a very articulate spoken word section in both German of a poetic nature. The instrumental atmosphere is quite psychedelic in nature. This is a perfect storm of epic drum proportions. The symphony of hi hats blending with snares and eloquently in harmony with cymbals is a dream for listeners who really love drums and tight rhythm sections. Playing sometimes in odd time signatures there is a little blend for the most objective mind and progressive purist at once. This begins with various effects as if the listener has been transported to a war zone. This is a all out audio assault on the senses. With deep rhythm sections and dark and heavy handed neo progressive metal elements with police sirens effects, this is certainly a track that will get the attention of the listener for sure. It includes parts of Winston Churchill’s infamous speech following the all out assault of Nazi Germany during the start of World War 2. From there it runs a series of spoken word segments over some good solid progressive hard rock. Fragments of spoken word nature of President John F Kennedy and various other world leaders throughout history are very upfront and present with a vast amount of social commentary. The instrumental atmosphere remains very very aggressive towards the finish line of the track. Begins as a very folk driven acoustic ballad. One that may come out of the regions of say Scotland or Ireland as it steadily takes on heavy layers of Celtic elements. The guitar and Celtic elements remind me very heavily of Dave Bainbridge and IONA or even Mostly Autumn. Opens up with a heavily funk driven bass chord progression in harmony with various percussive cymbals giving the track very unorthodox and fresh sounds. The drums and bass take on a far more melodic narrative here. Even more so than a percussive narrative. This is another track that is a rhythm section lovers dream come true. This begins with a healthy rich Spanish/Latin chord progression along with various percussive elements to present this 20+ minute epic. Once again Hans Jorg Schmitz has a very intricate understanding of layering various time signatures and effects on a composition. Soon the violin takes it into more of a traditional classical atmosphere. The violin even at times allows some Far East Orient elements loose. Soon the piano, drums, bass, and guitars take the listener on a unorthodox and unpredictable journey of sonic excellence. It is as if Santana and Yes got together to develop a Latin Progressive Rock composition with a slight flavour of Jethro Tull with the presence of the flute. This track is like a perfect balance and blend of Jethro Tull’s Aqualung meets Yes Tales Of Topographic Oceans meets Santana – I, II, & III. This track is also like Bach or Beethoven on drums writing one of their classic symphony scores. This takes on qualities of traditional progressive rock with some heavy Celtic and World influence to even some cosmic elements from a RUSH 2112 meets Tangerine Dream’s – Zeit 1972. All the instruments are very clearly heard both on their own accord and in the collective harmony of things. Hans Jorg Schmitz has written this very complementary so his guest musicians can really be heard. That is a tougher task than many think it is. It also takes a humble and gracious soul to do that for guest musicians. The breathing space each of his guest has on this track is just a remarkable feat. The last five minutes of the track is much like a straight away, 1970’s era classic rock acoustic track in the vein of Blind Faith’s Can’t Find My Way Home, however in a instrumental fashion. Soon the sweet rhythm sections and atmospheres that have been the standard for Morning Star start to really bring it home for the listener. The elements in their collective really come together to perfectly compliment the last and final track Curtain Call. Is very appropriately named for the last and final track on Morning Star. The journey is about over however not until it is ended properly. It is a full reprisal track that ends much like it began back in the first track Veils Open. The same narrative is pumped through a more abstract filter with a much more melodic atmosphere serving as the backbone. It ends in a very ‘Pink Floydian’ matter with the guitars. You can hear many of the elements in this short track that you heard through the entire journey of the album. King Of Agogik is some of the very best instrumental work that I have heard since great instrumental albums as Ayreon’s Actual Fantasy, Liquid Tension Experiment 1 & 2, Gordion Knot 1 &2 and even the two from Melodic Revolution Records I featured last year, Leon Alvarado The Future Left Behind and Darrel Treece Birch No More Time . King Of Agogik is very groundbreaking with every release. It is a perfect album for those interested in a quality instrumental progressive rock album and it will also suffice the progressive purist at the same time. This is on my list already as a contender for Instrumental Album of 2017 at least. I do hope to see some more social media presence on this franchise. It is worth the time to invest social media presence such as Facebook or Twitter. Credit goes to Chip Gremillion who shared a few copies with me making this review possible. I am giving this a strong 5/5.